Q: What do I need to get a marriage license? A: Both parties must appear together with current picture ID and have Social Security numbers or a letter from the Social Security office stating why you don't have one. There is a $28.00 fee payable with check, cash or money order. We are not able to accept credit cards. Q: Is there a waiting period? Q: Do we need a blood test? Q: Do I have to be a resident of Idaho? Q: Can we get married at the courthouse? A: No. We do have a list of officiants. Q: Does the marriage license expire? Q: Can we use an Idaho marriage license to get married in Alta, Wyoming? A: No. You need a Wyoming marriage license. 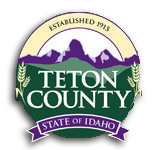 Call the Teton County, Wyoming clerk's office at 307-733-4430 for details.